If you ask around, just about everyone has an opinion on “gluten-free,” Celiac Disease, or gluten-sensitivity. Often times, their opinions are misinformed and can be insulting, especially to people who have Celiac Disease (CD) or are gluten-sensitive. For those of you (or your friends) who have CD or have gluten-sensitivity, you’ve probably heard the snide comments from friends or family saying that it’s “made up” or “all in your head.” The unfortunate reality is that many people are just under-educated on the matter and don’t have all of the facts. Luckily, it seems many people are beginning to understand CD a bit better and do treat it as a “real” disease. The conversation can often veer off track, though, when the concept and condition of gluten-sensitivity is discussed. Again, many people (incorrectly) believe that gluten-sensitivity is in your head. Thanks to a recent study published by Columbia University Medical Center, that perception will hopefully change very soon. While gluten-sensitivity varies greatly on a microscopic level from CD, there is compelling evidence that some individuals don’t digest wheat gluten, barley, or rye the same way others do. When blood samples and intestinal biopsies were taken from individuals with CD and those who were self-described as “gluten-sensitive” and analyzed, researchers found that those who reported a gluten sensitivity had leaky gut (whereby proteins and toxins actually permeate the intestine and make their way into the bloodstream). So, what does this mean? It means that gluten-sensitivity is real. Unfortunately, it is much harder to diagnose than CD, which means many people may go through life eating gluten products and not understanding why they feel miserable. 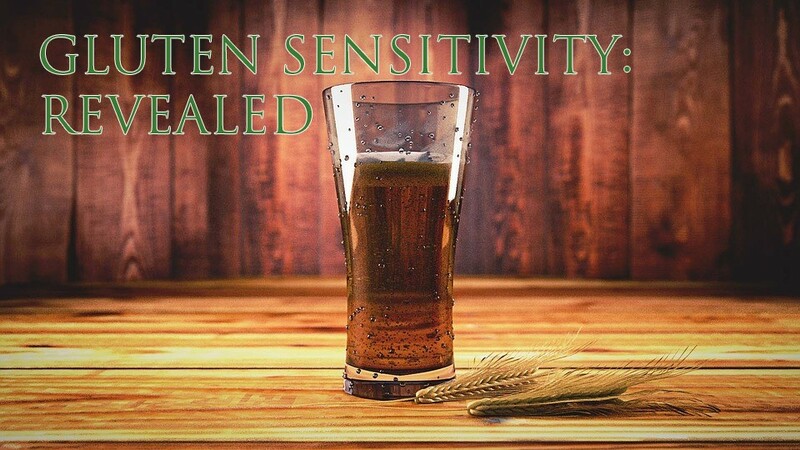 However, the more the general public understands the distinct differences between CD and gluten-sensitivity, and the less taboo gluten-sensitivity becomes in society, the better off people who may have gluten-sensitivity will be. Thankfully, brewers across America are beginning to educate themselves more about their patrons’ tastes and dietary needs. New Planet Beer has been offering gluten-free and gluten-reduced beers since 2009 and continues to be at the forefront of the gluten-free beer revolution. With beer that still packs all the flavor, characteristics, and all-around goodness that craft beer has to offer, look for New Planet Beer in a liquor store near you. In honor of Celiac Awareness Month, Founder of New Planet Beer, Pedro Gonzalez, shares his tips for a speedy recovery from gluten overload. Share these tips with someone who has been newly diagnosed with a gluten sensitivity or with someone who could benefit from knowing what it means to live gluten-free. Please share additional tips in the comment field. Keep your gluten-free diet simple and healthy… bring it down to the basics. You’ll lose weight and feel better faster. Read the ingredients of everything before eating it. Soon you’ll know what’s safe and what isn’t. Even if a product says ‘gluten-free’ doesn’t always mean it’s 100% gluten-free. Read carefully. When dining out …dine at restaurants that are known for great customer service. They’ll go out of their way to get an answer on any kind of dietary restriction. When dining out on a budget… if you are a meat eater go to a steak house which can provide you with well cooked meats, potatoes and a salad. If you are a vegetarian or a vegan go to a Thai restaurant or a healthy salad bar. When traveling by plane pack ahead because there’s a greater risk of being exposed to gluten. Fresh cut carrots, celery and Justin’s peanut butter packs make good traveling snacks. Kind bars and Lara bars are great too. Did you know that most peanuts provided by the airliners are coated with wheat and sugar? Read the ingredients next time they land on your tray table! If traveling away from your hometown research the restaurants that you want to try ahead of time. Also, don’t be shy about bringing snacks along with you. Eat less…drink more water, which is good for everyone. A New Planet Beer is safe to drink too, we test every batch! Cheating on gluten does not work. For most of us a 1 part per million dose of gluten is enough for a reaction. It’s not worth the risk. It will set you back, so stay the course. Incorporate probiotics and plenty of flax seed with breakfast. This will provide healthy bacteria and fiber to your digestive track. Exercise as soon as you get over any fatigue…it will help get you stronger. Strength builds strength! There are a number of Celiac groups out there, look up your local chapter and start connecting with people in your community. You’ll be surprised how many people have gluten sensitivities and what great advice they have to share. Just like anything new, it takes time to get adjusted, so stay as positive as possible and enjoy the benefits of good health. The Celiac Disease Foundation declared May as National Celiac Disease Awareness Month. Learn what it means to have a gluten allergy and the effects that gluten can have on one’s health. New Planet Beer is dedicated to providing guaranteed gluten-free beer with a great taste that everyone can enjoy. Gluten is the common name for the proteins in specific grains that are harmful to some persons experiencing celiac disease and gluten sensitivities. These proteins are found in ALL forms of wheat (including durum, semolina, spelt, kamut, einkorn and faro) and related grains rye, barley and triticale and MUST be eliminated. The incidence of celiac disease is rising sharply with 1 in 133 Americans being diagnosed. Experts think as many as 1 in 20 Americans may have gluten sensitivity. A few common symptoms caused by celiac disease or gluten sensitivities are: abdominal cramping, bloating, fatigue, migraine headaches, depression and hair loss. There are many possible symptoms, so check with your doctor. A gluten-free diet is the recommended treatment for celiac disease or gluten sensitivities. New Planet Beer is made from 100% gluten-free ingredients: Sorghum, Corn, Hops and Yeast. With one beer made with brown rice instead of corn for those who also have corn allergies. Every batch is tested in a lab to guarantee 100% gluten-free beer. Our brewing facility takes extra cleaning measures to eliminate cross contamination. New Planet Beer delivers a great taste without sacrificing natural ingredients and alcohol content. New Planet Beer gives a portion of proceeds to environmental programs that support sustainable living. New Planet Beer makes a gluten-free beer for every style of beer drinker: Enjoy a light flavor, fruity flavor or a beer with a little extra hop.